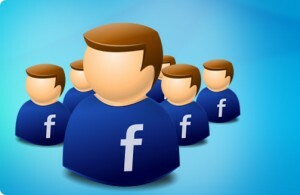 Sure, you want to build your Facebook fan base – and fast! But will it really provide you with unique value to create followers that don’t have interest in your unique industry or niche? Probably not. Here’s a quick rundown on some Facebook marketing strategies that will help you create followers and fans, who – get this – might actually turn into customers! Contests are a fantastic way to get Facebook fans – simply require entry terms of “liking” your page, and randomly generate a winner at the end of the contest period (typically at least 2-3 months.) While it may be particularly easy to generate new fans / contest registrants with a universally awesome prize – like an Apple iPad or laptop – this is going to build a whole lot of fans who have an extremely low chance of buying your product. For example, if you sell US road maps, and your contest goes viral and you get 5,000 new likes in a week – it doesn’t help if they’re mostly teenagers from China, does it?! Make your contest prize something that is related to your industry. This way, when you grow a healthy number of registrants (and likes) you know their already interested in the products you sell. Again, it may be tempting to create posts that are almost entirely funny or random content. Of course this stuff will get people to follow you, but you have to be careful not to stray too far from the relevancy of your industry. This is key to driving the right kind of fans and followers that you want to be tuned into your business. Remember, an easy way to create content that isn’t only educational – but actually interesting – is to model it on a hot topic that is unrelated to your industry. For example: if there’s a viral picture going around the web with a giraffe standing on top of a car saying “Bacon, bacon, bacon!”, and you’re in the kayak business, you make a post of a giraffe standing on top of a kayak yelling “Paddle, paddle, paddle!” Okay, the example is a bit lame – but the point it, you can capitalize on viral content that people already recognize – while creating buzz for your industry! For some pretty limited fees, you can actually advertise your page, business, or contest with Facebook. While this does require some start-up capital – the rate at which you can grow your page is exponential. The best part is, Facebook has the ability to target users with interest and professional tags that match your exact specifications. 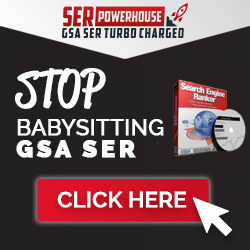 If you put a contest ad out on Facebook advertising to targeted groups? Watch out – your likes are going to skyrocket! With all this information on generating the right kind of fans for your business on Facebook, you might be asking: “how do I know if my fans are the right fans?” It’s not like everybody who uses Facebook identifies all of their interests and professional classifications. Engagement with your fan base is essential for many reasons, but it’s also a fantastic way of gauging who’s actually an enthusiast about your industry. When you prompt people to share and like your industry posts – do they do it? When you make a bold comment about a product, design, or brand in your industry – does anyone comment back? If you’re not seeing much activity surrounding your posts, and you have a large number of fans – they’re probably not the right ones. Now, that doesn’t mean you have to shut down the page and start over! This simply means you need to take the above listed steps moving forward to ensure your future fans are more relevant.